Unisex 4.3 oz., 60/40 combed ringspun cotton/polyester kelly green tee. 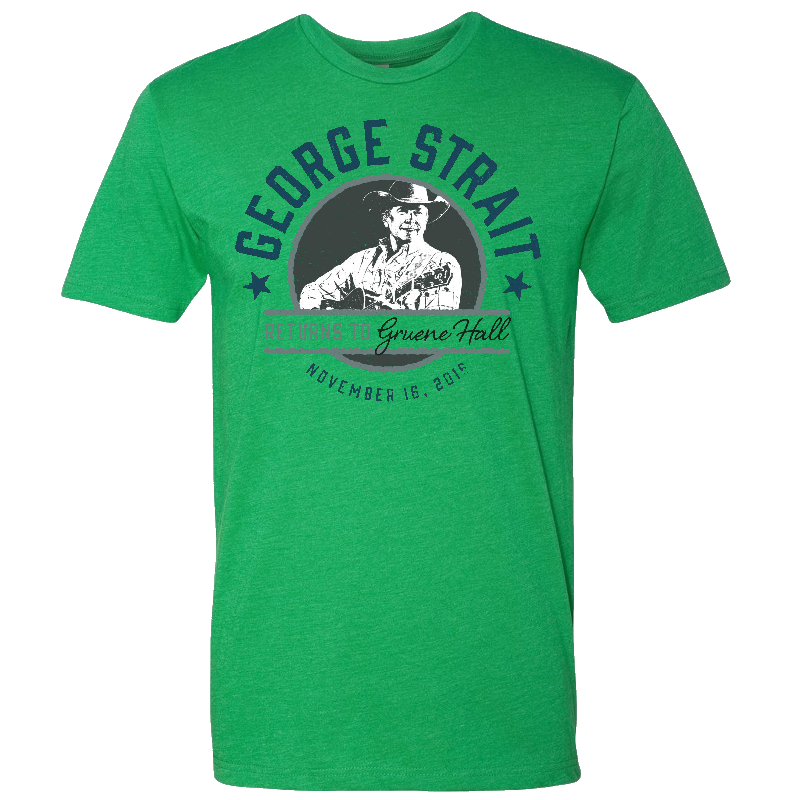 George Strait Returns To Gruene Hall design on the front and GS logo on the back. 19" 20-1/2"" 22" 24" 26"